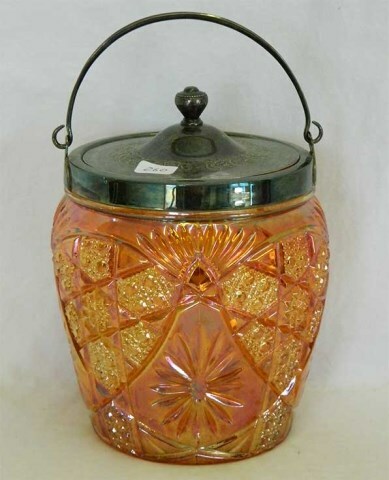 Only known in marigold and blue cracker jars (also known as biscuit barrels). 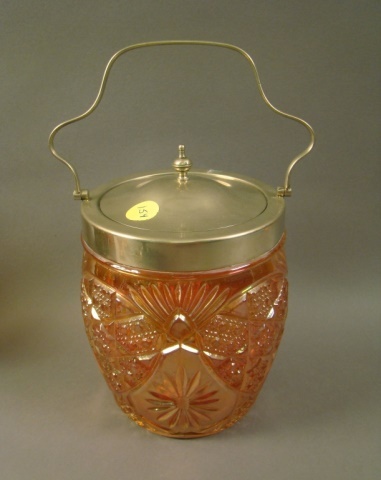 The originals would have had lids in matching glass (and are worth more). 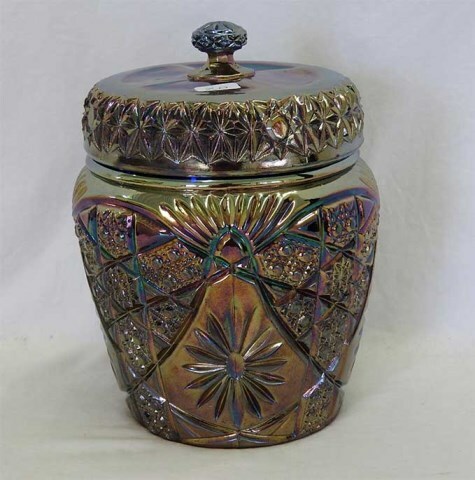 In 2004 on eBay a marigold example sold for $121 and a blue one for $526. 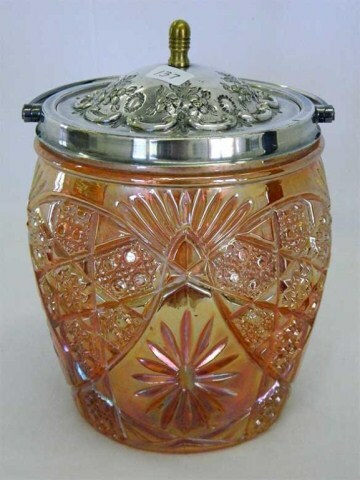 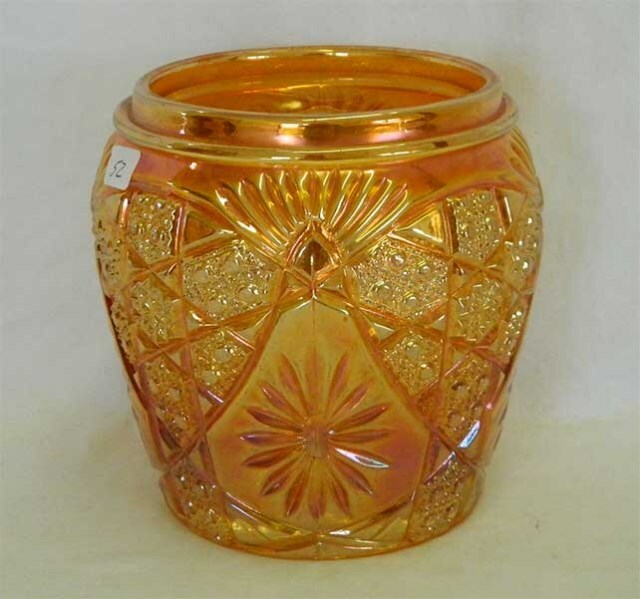 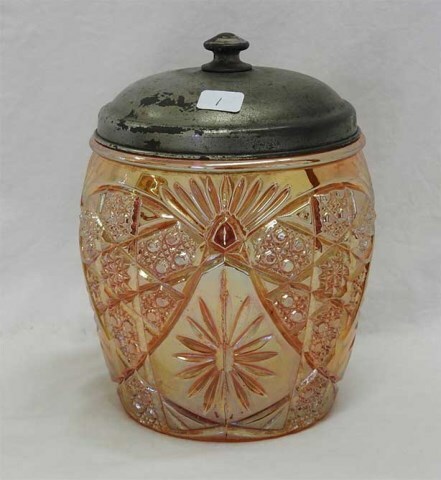 In 2013, this marigold example with silver plated lid sold for $120 and in 2015 another with a similar lid fetched $525.